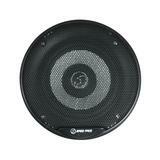 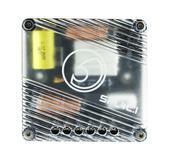 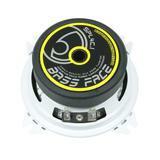 The SPL4C.1 was the next logical progression in the Bassface SPL component speaker family. 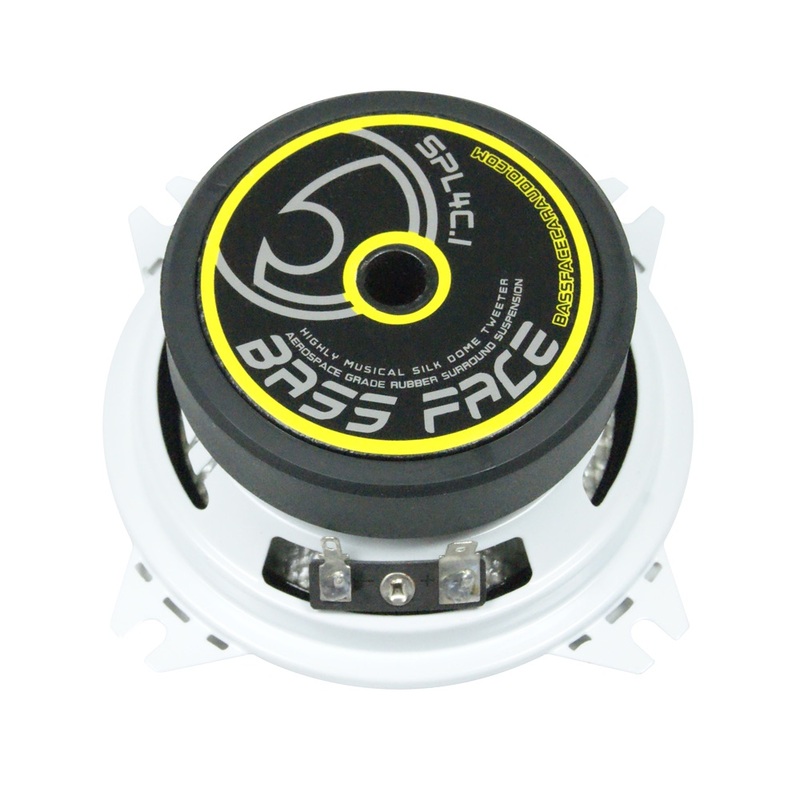 Sharing common components with its larger counterparts it has a white woven composite cone with excellent stiffness for great midrange and bass response, a silk dome tweeter with a plethora of fitment hardware along with an advanced crossover network whose characteristics have been perfectly matched to the drivers. This combination delivers clear and accurate sound reproduction and good power handling for such a small driver especially when used with a suitable high pass filter and a subwoofer. 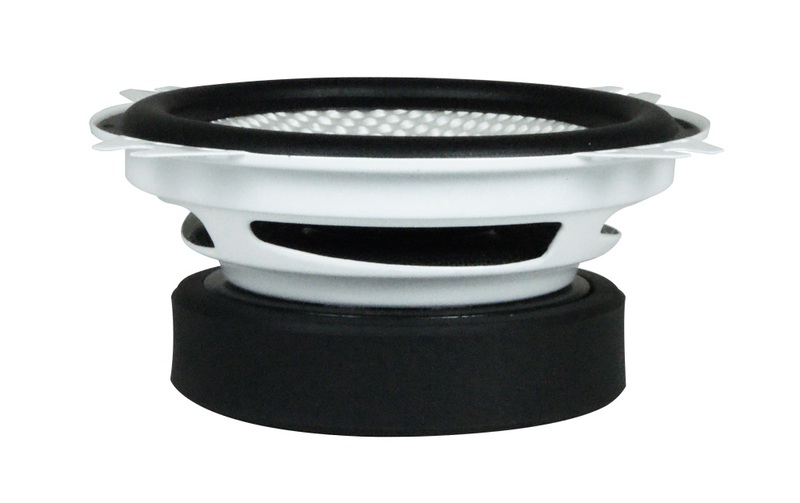 The back plate is vented to keep the VC compression and temperature down, increasing power handling. 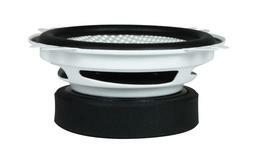 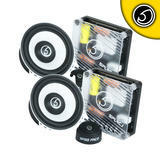 The silk dome tweeters are small enough to fit in place of existing ones in your system or to be installed discreetly. 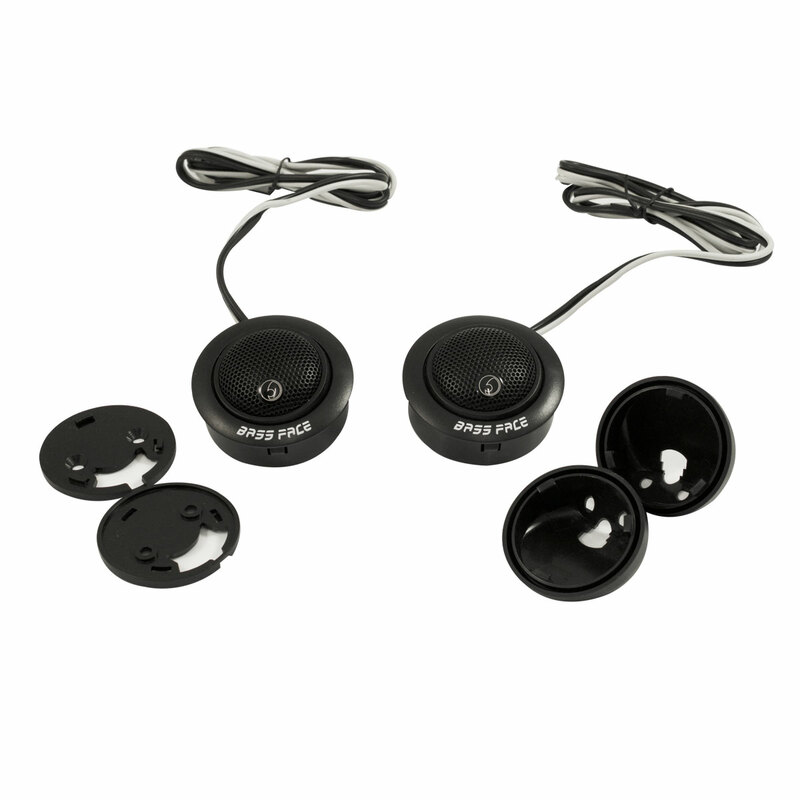 The mounting hardware enables you to mount them flush in the dash, on the dash, angled on the dash or even in the doors or headlining. 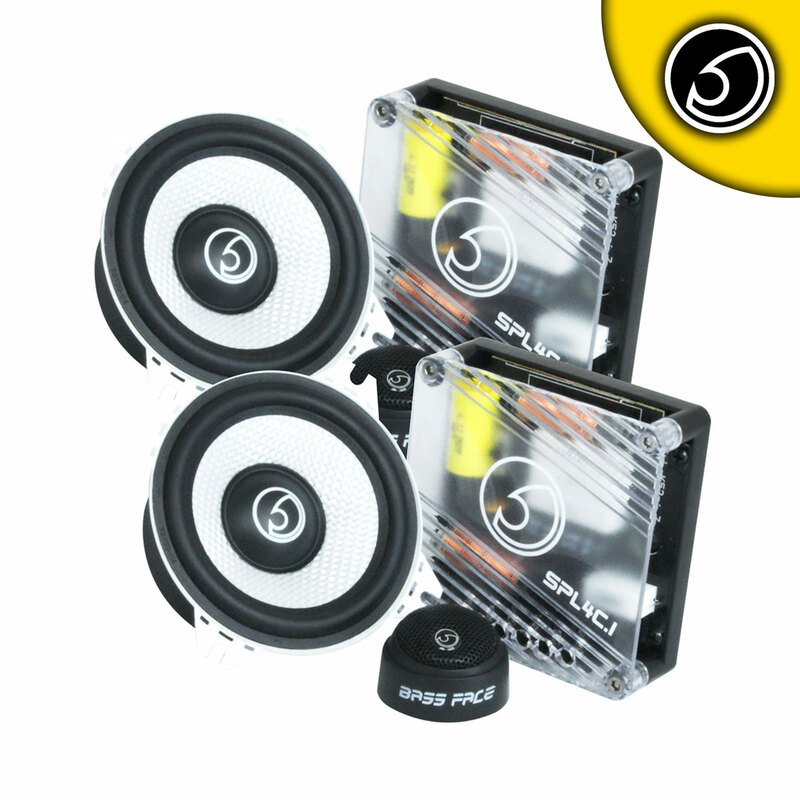 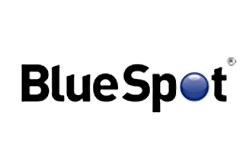 When installed properly into a suitable panel these speakers will instantly improve a factory sound system, revealing the full spectrum of sound that OEM speakers simply cannot reproduce. Team them up with a decent amplifier to experience best resolution and detail – SPL4C.1 might be small but when used correctly they will still produce convincing results with rich smooth midrange and sparkling accurate highs.